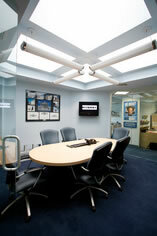 Soundproof Windows provide serenity to those confronted with temporary and permanent noise conditions. In any office setting it is extremely important to create a workplace that is quiet and conducive to concentrating and communicating without constant interruption. All Noise Control soundproof windows and doors are a great way to eliminate unwanted noise from internal and external noise sources. All Noise Control Soundproof Windows are the most cost effective and expedient solution to eliminating unwanted noise in office setting, even when the noise comes from within your building such as an entryway. 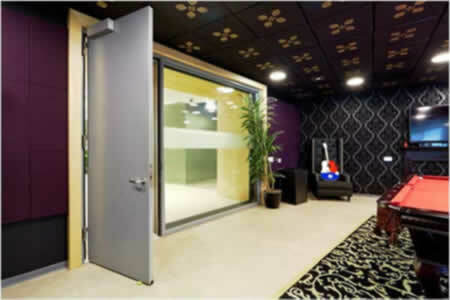 When the sounds of the city become too much to work in peace, a Soundproofing Window is the perfect solution. We fit our custom made All Noise Control Window into the existing window opening in a very short time without permits or building management permission, making your office or conference room free of unwanted city noises. All Noise Control Windows are manufactured to mirror the configurations of the existing windows so they can be installed in most any existing window opening. Many traditional soundproof office window solutions require removal and reinstallation of the new windows, building permits, architectural drawings, and large budgets, which is why almost every commercial client who has a noise concern eventually turns to ANC Windows for a superior built soundproofing window system (which is extremely cost effective compared to traditional window installations). 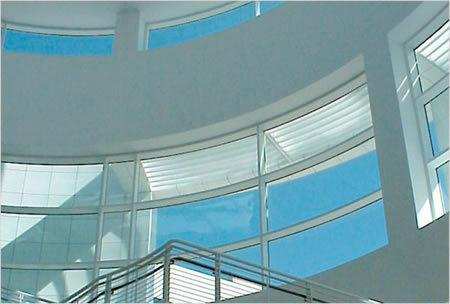 What type of glass is used in Soundproof Windows? All Noise Control offers a variety of glass for all your soundproofing and thermal needs: 1/8″, 1/4″, 1/4″ laminated, 3/8″, 3/8″ laminated, 1/2″, 1/2″ laminated, 1″, 1″ laminated. 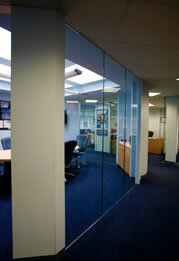 All glass can be chosen, clear, SuperClear (Starfire), Low E, or tinted the color of your choice. Can I access my existing windows after Soundproof Windows are installed? Is it possible to install Soundproof Windows on the exterior of the existing windows? 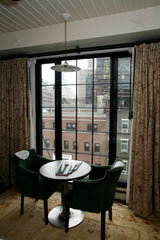 On rare occasions All Noise Control’s Interior Windows are installed on the exterior of your existing windows. However, this would require building approval and may not be the best solution for your noise issues. Will Soundproof Windows disturb the “interior look” of my room? No. Once the All noise control Interior window is installed, you will have complete access to your existing window. We will line up any frames and glass from window to window, eliminating additional obstructions, and the ANC Interior Window will virtually disappear in the window opening. Can Soundproof Windows be considered storm windows? Some people have referred to Soundproofing Windows as storm windows and in certain aspects it is a fair comparison, but ANC Windows go beyond storm windows and cannot be considered as such. Unsure if you found your sound solution? Call us right away at 1-561-964-9360 or fill out our contact form here. We look forward to hearing from you!